After several years of working in multiple ways with long term care facilities, I would like to address several aspects of assisted living care and marketing that are becoming all too common in today’s long term care industry. These are things that are important to know if you are trying to place a person with dementia in facility and may not be explained to you by discharge planners or staff at facilities, either because it’s not commonly known (often due to misleading marketing) or it’s something an assisted living doesn’t like to acknowledge. Keep in mind that some of these details may be specific to Ohio, where I practice, and are based on my professional experience within my geographic area within Ohio. ASSISTED LIVING IS ASSISTED LIVING AND IS NOT A NURSING HOME. Seems pretty straightforward, right? Well, it isn’t. Many assisted living facilities market themselves as offering both assisted living and memory care, leading many to believe that these are two different things. The memory care unit or area of an assisted living is still considered an assisted living level of care. Even if the facility’s website and marketers describe their building as offering assisted living AND memory care, what this typically means (unless it’s a nursing home that also has assisted living, in which case it’s wise to think of the two as separate entities in terms of how they’re paid for and how they work) is that the assisted living has a semi-secure area for patients with dementia who need increased supervision. Assisted living is self pay. It won’t be covered by your insurance (unless you have long term care insurance, which is a fabulous thing to look into if you can), and skilled rehabilitation (of the type where your stay is covered to some degree by your insurance after a hospital stay or surgery) is not offered at an assisted living facility. 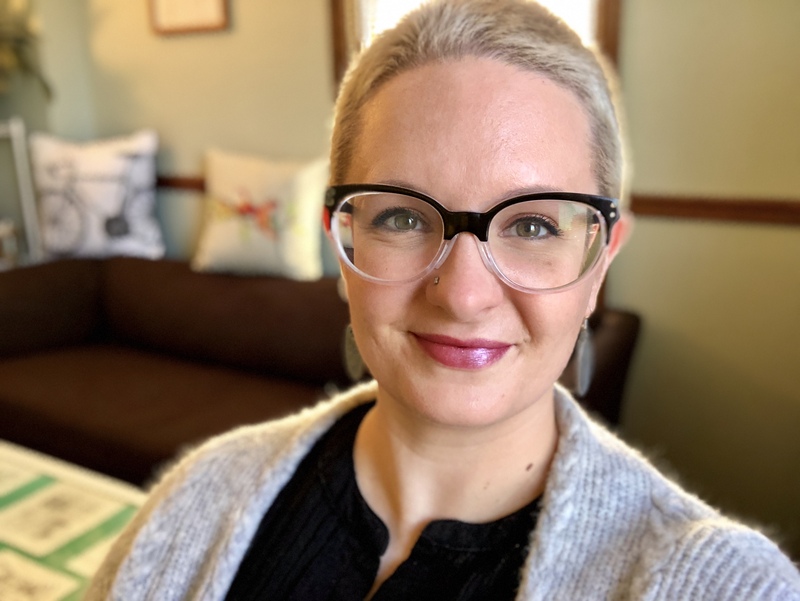 A resident can receive supportive therapies while living in assisted living, but only those therapies would be covered, not room and board, or other care needs. Memory care in assisted living is significantly more expensive than typical assisted living care, often by thousands of dollars. In recent years, the local average seems to be around $5,000 per month for memory care in assisted living. Some facilities being lower or higher, but this is sometimes because the level of support is different, so keep in mind that a “cheaper” assisted living facilities may be priced according to a particular package of services, only to end up being just as or more expensive than others once you add a la carte services. In Ohio, there is the possibility of applying for a Medicaid assisted living waiver, but in my experience this option is more helpful to higher functioning assisted living residents, it does not pay enough to cover the cost of memory care in assisted living, and most memory care-oriented assisted livings will not accept the waiver for memory care residents because the facility cannot afford to care for a patient in memory care with the level of reimbursement provided due to increased staffing, care, and supervision required for patients with cognitive impairment. Capacity to manage patients with difficult dementia-related behaviors is lower in assisted living than in nursing homes offering memory care. Someday this will likely be a post unto itself, but for now just understand that not all facilities offer the same type or level of dementia/memory care, and these facilities don’t always want to come right out and explain this to you. Many will even given the impression of being able to care for resident with dementia for the “rest of his/her life,” when this is often not even remotely true, depending on level of behavioral issues and increasing physical needs that cannot be provided for in assisted living. Not all nursing homes or assisted livings can handle all types of cognitively impaired resident, and I have yet to encounter an assisted living that offers truly behavioral memory care, as in, caring for a resident with dementia who may at times strike out at staff, shout, or engage in exit-seeking behavior. Some people with dementia may exhibit these behaviors intermittently even with the right medication and if your loved one progresses to a point that behavioral issues are a part of his or her daily routine, you will likely be looking at another move. Understanding this is important in and of itself, but even more so when considering my next point. Assisted living memory care facilities routinely get away with refusing to take memory care residents back from the hospital. Why? Because they are an assisted living level of care. Even though they’ve set up an area for patients with cognitive issues and have called it memory care, it is still technically assisted living level of care and most of the residents on those units are already requiring more care than is expected to be provided at an assisted living. Even if this issue is behavioral and psychiatric care is given to stabilize the issue and a resident’s behavior is consistently improved prior to discharge, the facility is not required to accept that resident back, at least based on several experiences I have had with calling an ombudsman to try and report these types of issues. Assisted living facilities aren’t required to provide the level of care a resident with dementia requires, so an emergency discharge is an easy out. If given an emergency discharge from assisted living, I also find that family and/or caregivers often have to really work hard to be reimbursed for days they’ve already paid for and if your loved one does receive a emergency discharge, be sure to take his or her belongings out of the room immediately so that you aren’t charged for every day that the room is still unable to be occupied by anyone else. To recap, it’s important to know, before moving your loved one into an assisted living facility, whether your loved one can afford to be there, and whether he or she is truly able to be cared for long term in that environment. Memory care in assisted living can be a wonderful resource for the right person at the right assisted living with the right caregiver/family advocate. Some of the above is useful whether placing someone who has dementia or just needs more help than can be realistically provided at home. If your loved one does have dementia (or similar cognitive impairments), this information is important to understand and can protect from unexpected issues with whatever facility you ultimately choose. What is the monthly cost and what does that include or not include? Are you able to keep residents in this memory care unit after their finances are exhausted? If so, how specifically do you do that? If not, do you assist with locating alternate placement and obtaining Medicaid to cover long term nursing home care? 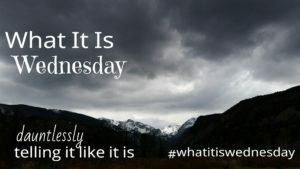 This post is my contribution to this week’s edition of a blog hop started by Kelley Harrell of Soul Intent Arts called “What It Is Wednesday,“ which gives bloggers a chance to dauntlessly tell it like it is. Check out the inaugural post to learn more about joining in or just to read other blogs in the hop. advocacy, aging, assisted living, dementia, elderly, facilities, level of care, long term care, long term care insurance, memory care, nursing home, ohio, placement. Bookmark.